The sun in your skin and the sand on your feet, and yet nothing can beat the waves beneath. If these three things are what you’re craving for your next summer holiday, then Hawaii may be the perfect destination for you. If you ask people – both locals and tourists – about the things they love about Hawaii, you best be prepared for a very long list. It’s simply hard to mention only a few things. After all, when you’re in Hawaii, you see paradise, and I do mean that in all sorts of ways. The spirit, culture, people, traditions, beaches, and adventures that await you are just that hard to miss. However, if there is one thing Hawaii will always be remembered for, it’s their beaches. Or more specifically, the insanely huge beach waves that ride to the shore. Huge doesn’t even capture the entire essence of it. I believe a more appropriate term would be “enormous” – so much so that it can eat you up alive. Well, that is if you’re not too careful. This is why diving is a pretty well-known sport around the island. It would be no exaggeration to say that more than half of the local population knows how to surf – kids included. And why wouldn’t they? They have the entire pacific as their training grounds. Over the years, this sport too has attracted the attention of many tourists (myself included). If you think diving right into the heart of the ocean is easy-peasy, then you’re in for a big surprise my friend. Heck, even just paddling your surfboard out to sea will leave you breathless – especially if you’re a stranger to the word “exercise.” Diving is a sport that demands a whole lot of stamina, balance, and strength. You may think that it’s okay because it’s water. But boy, are you wrong. Even if it’s water, it can weigh a ton. It’s the same as having a wall slam down on you – but of course, in a less aggressive kind of way. Anyway, if you’ve got an inner daredevil somewhere inside of you and you feel like toughening up a bit, diving is a great sport for the physique. Good news is that diving programs also vary from beginner, intermediate, and expert levels so you don’t really have to venture into the deep blues all too soon. Frustrated, stressed, or bored with everyday life? Is work getting too lax or too out of hand? Well, don’t throw in the towel just yet. Instead, take a break and give yourself a breather. Remember, nothing good ever comes of rash, impulsive decisions. There are simply days when we don’t feel like ourselves. 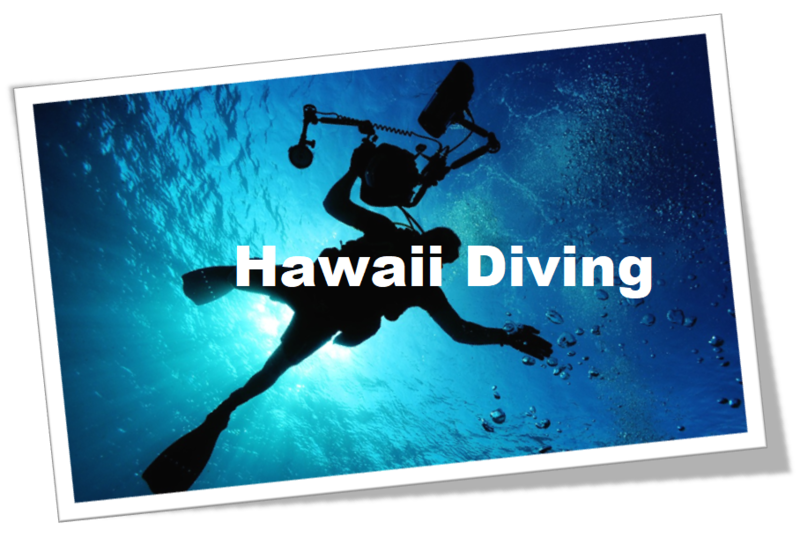 A Hawaii vacation and diving experience may just be what you need to cure that old slump. Diving is a great getaway from the stresses of life. When you’re at sea, you feel as if you’re just one of the waves – floating, rolling, and splashing. Everything else that’s going on in the real world will, even for just an instant, cease to exist. So if you want a short recess from everything that’s happening around you, try diving. Hawaii is a beauty deserving of the title “The Aloha State.” It really is the island of many “Hellos” but also one with many “Goodbyes” – both words translatable to Aloha in the Hawaiian language. Hawaii welcomes many tourists during vacation season, but also says goodbye to them when the season draws to an end. It’s one of the saddest partings I’ve seen. However, if you make diving something more than just a hobby or a whimsical experience, you will always have a reason to go back to Hawaii. After all, they do have some of the biggest and deepest waves! If you’re up for the challenge, then take up diving as a sport. You’ll love it! CONSUMER RESOURCES: All Inclusive vs Full Board vs Half Board vs Bed & Breakfast – What’s the Difference?